A regular lady who just loves to share all kinds of information, how-to, and just stuff! Life experience comes in handy, sometimes. 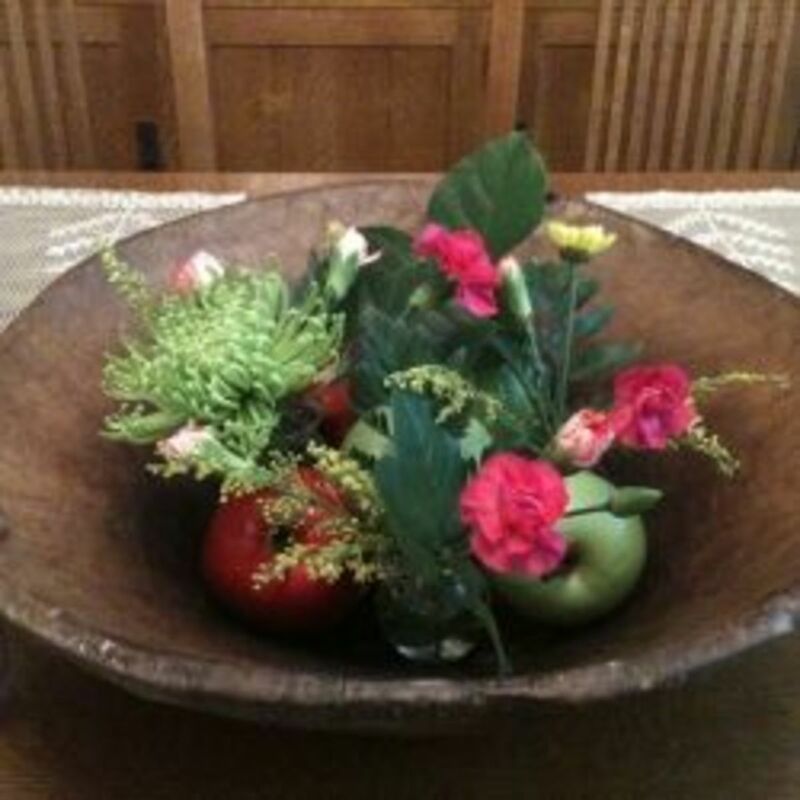 You can create a flower arrangement with all sorts of things, like an antique bread bowl! Do Not Be Afraid of Fresh Flowers! Think out of the vase! If I can make easy flower arrangements quickly, so can you! The arrangement shown here is one that did not take very long. It is a blooming spring branch in a 3" tall bud vase. All it took was a pair of clippers and permission to cut the stem from a just budding tree. Of course the tree was in my yard, so I did not have to get the OK, but you get the idea. I have a friend who has forsythia and she allows me to clip at will from her bushes. I like to clip stems in the late winter, bring them inside and force them to bloom early (Visit Forcing Stems and Twigs to see how!) 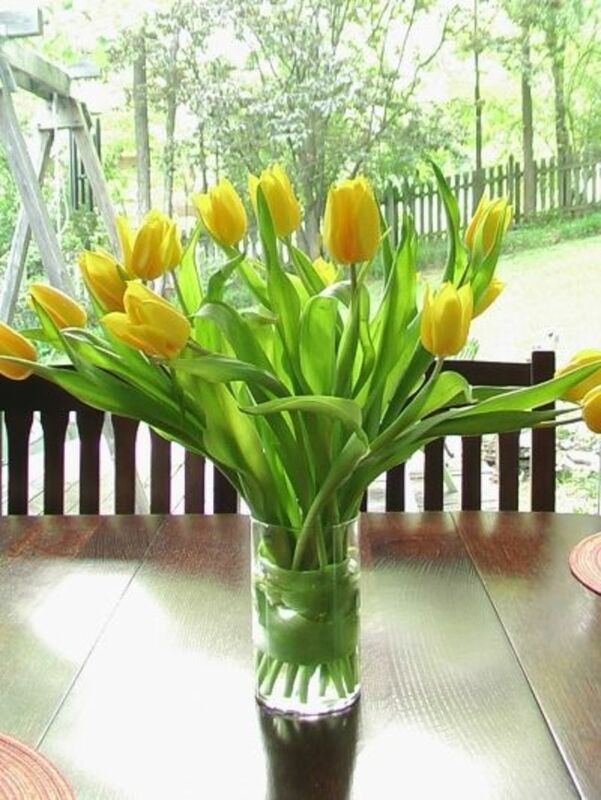 That in itself is an easy way to bring fresh flowers into your home. 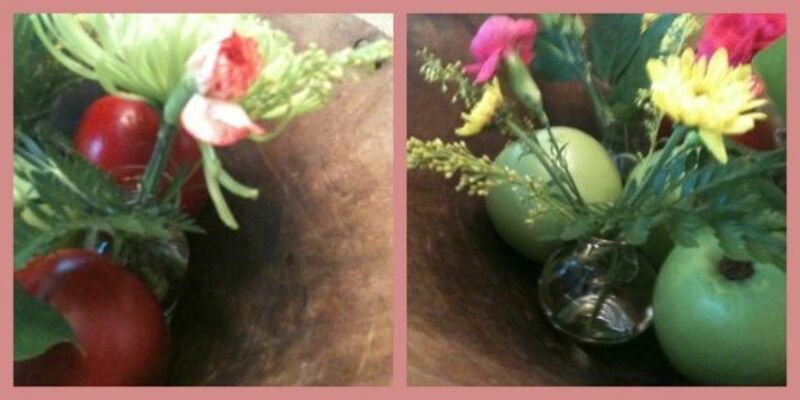 Keep scrolling down to see some of the easy and quick flower arrangements I have created. I use flowers from my own yard (camellias) and purchased flower bunches from Costco. Love the tiny bud vases! I used tiny bud vases and small jars nestled among fruit to hold the flowers. The small vases I have were originally in a bulb forcing kit. I never throw anything away, so after my bulbs bloomed and then died back, I saved the tiny vases. So glad I did. They have come in very handy when creating centerpieces. Amazon has many choices for flower arrangements. I tried to make your life easier by selecting tiny vases that are similar to the vases I used in the arrangement shown in the introduction above. FYI: I get a small commission from Amazon and Hubpages if you purchase products recommended on this page. These mini vases are very much like the ones I used in my flower arrangement in the antique bowl at the top of the page. I bought the tulips in a pre-gathered bunch at Costco. I had the cylinder vase at home. I trimmed the stems to match the height of the vase. Removed the tulip leaves leaving just one leaf on each stem. I took several of the discarded leaves and wrapped them around the bouquet. Do not worry if the leaves tear. Holding the bouquet wrapped with the leaves, I gently placed it in the vase. Added water with a floral preservative. 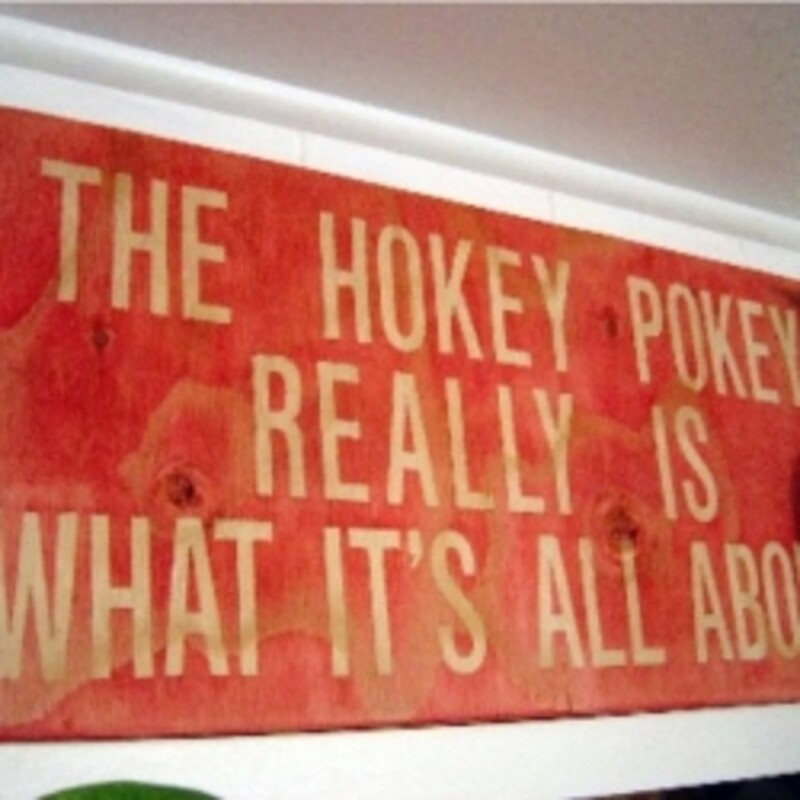 Image belongs to me, Mickie Gee! Do not even think of copying it without my permission or attribution. If you like traditional flower arrangements, you should use a vase. Go plain, go fancy and colorful. You are the designer. I like to use vases, but, as you can see, I also think "out of the box" and use unusual items for arranging fresh flowers. What did you think about the martini glass idea? I also have an old sliver plated teapot that I have used to display roses. 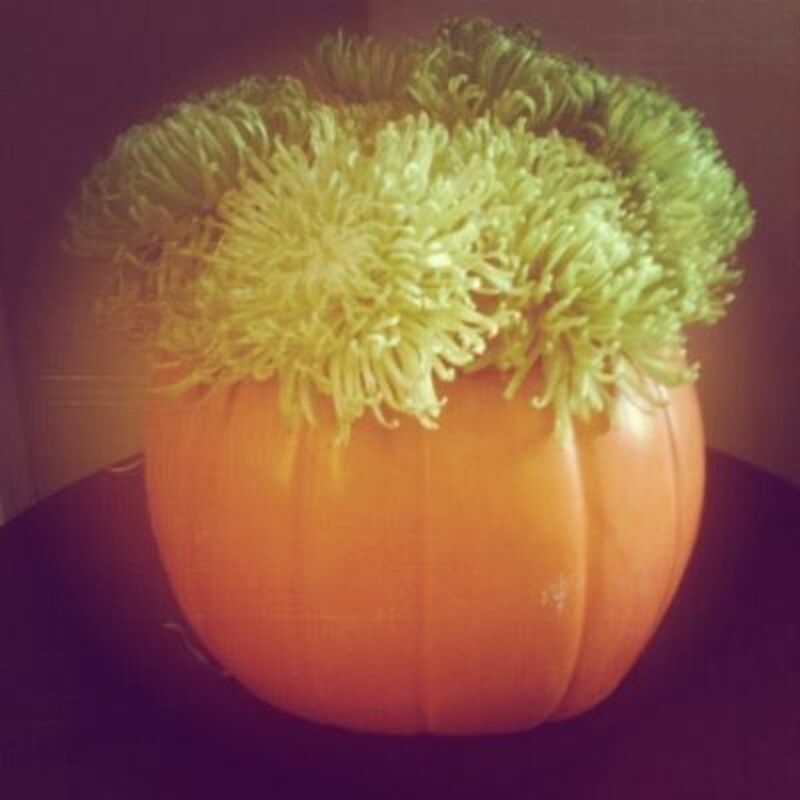 One Thanksgiving, I put flowers in a hollowed out pumpkin. What easy and quick, "out of the box" (or vase) ideas do you have to share? Did you like mine? Stop trying to make over-the-top flower arrangements, and just use this one simple trick for gorgeous floral displays, time after time. 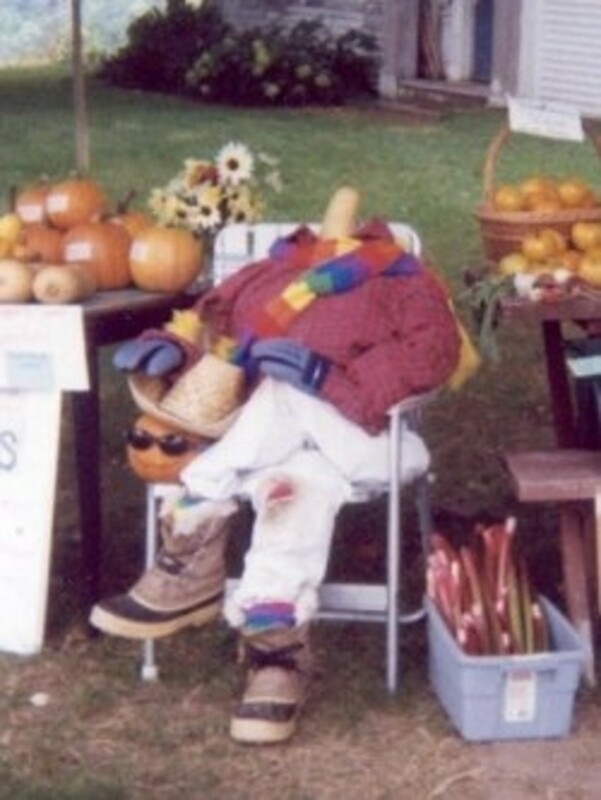 @Meganhere: I am particularly proud of that idea for a flower arrangement. Lovely lens with some great ideas. The martini glass idea is a good one. I'm going to try that. 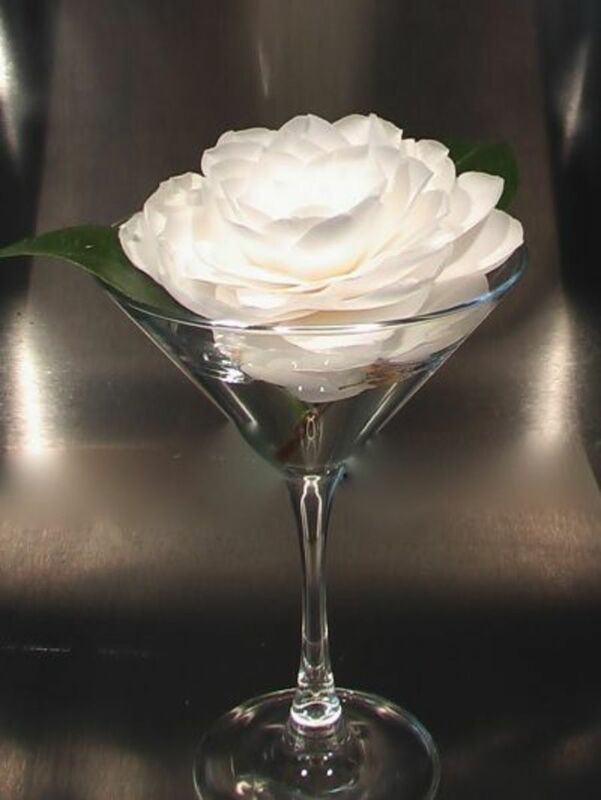 Great ideas, I especially liked the martini camellia. My preferred vases are unusually shaped bottles - also because only one bloom can be enough to make a pretty arrangement. "outside the box" type of flower arranging never occurred to me! 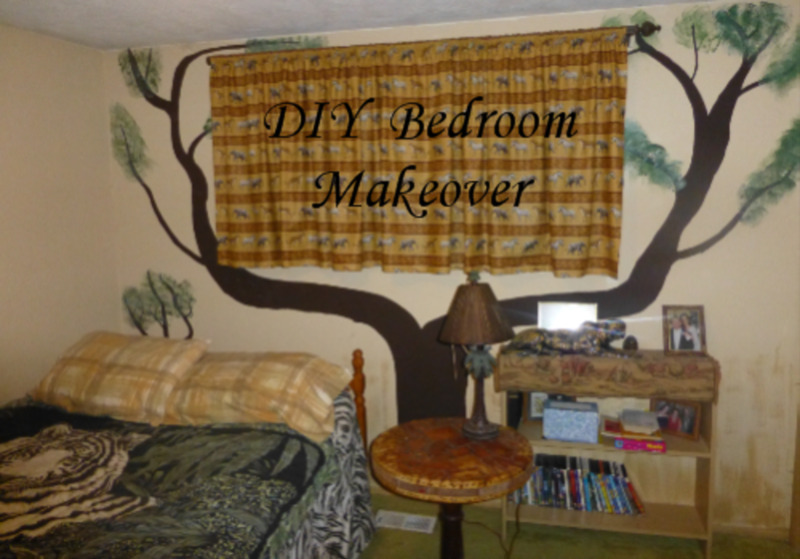 Very clever ideas you shared here! @Vikk Simmons: I have a page, Forcing Twigs and Stems to Bloom at http://www.squidoo.com/forcing-twigs-stems-bulbs. Thanks for the reminder to put in a link! The martini glass looked great. I use various things and look for odd and unusual vases, too. My mom loves camillias so I play with that every year. Are you going to do a lens on how you force the forsythias? 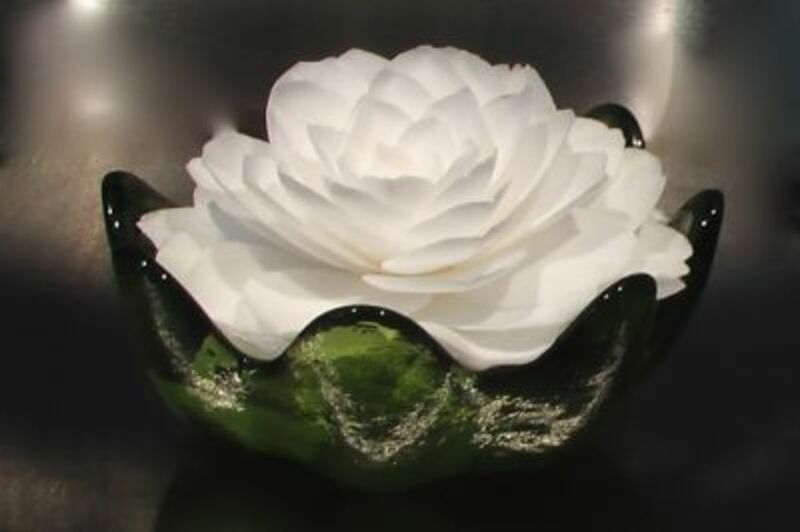 I love the camellia martini too--and the camellia in the green bowl! The bowl looks like hand-blown Blenko glass. Very nice.